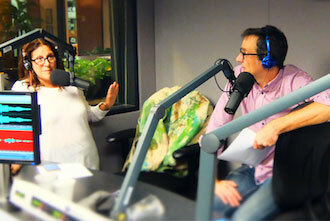 Barbara VanKirk, our founder and president, was a guest of TechVibe Radio’s January 5 broadcast. Visit the PGHTech Fuse website and then fast forward to the 18:30 mark to hear Barbara chat with Audrey and Jonathan of the Pittsburgh Technology Council about how IQ Inc. delivers software development and consulting services in ways that best meet our customers’ needs; including complete end-to-end software projects in our state-of-the-art development center. We also help our clients with staff augmentation engagements, contract-to-hire and direct placement.